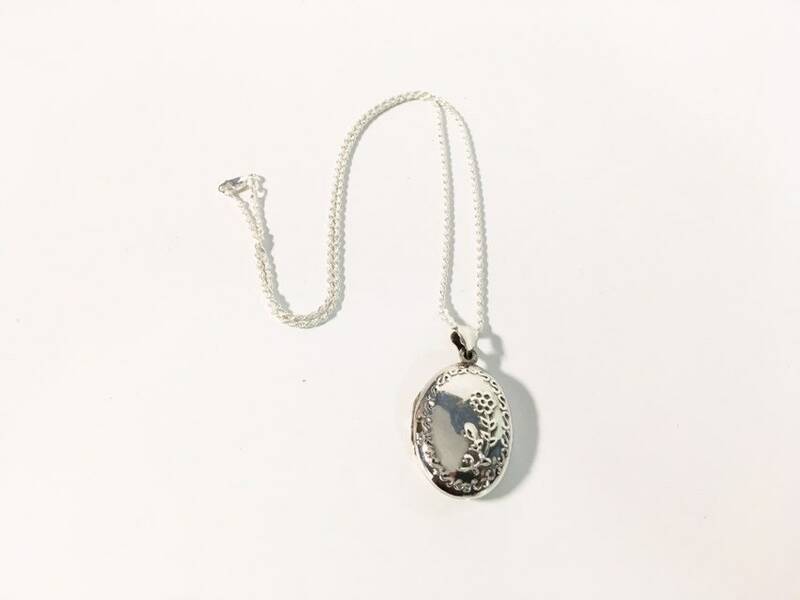 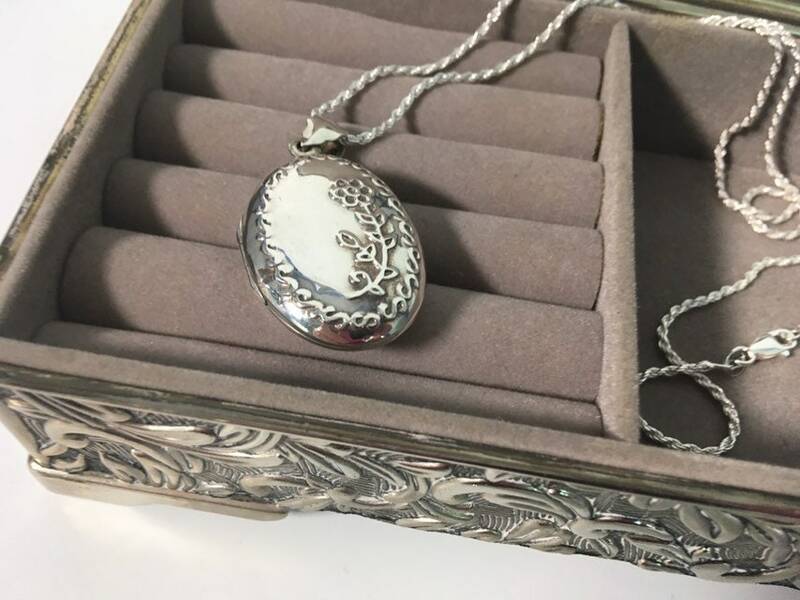 FREE SHIPPING to all United States Locations on this beautiful vintage locket! 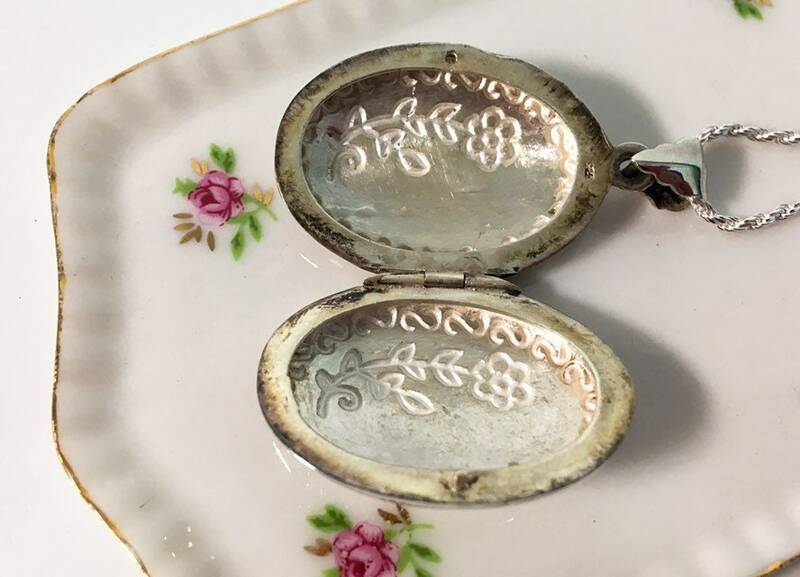 Pretty and large puffy vintage sterling silver oval locket with an embossed border all around the oval and floral design on the front. 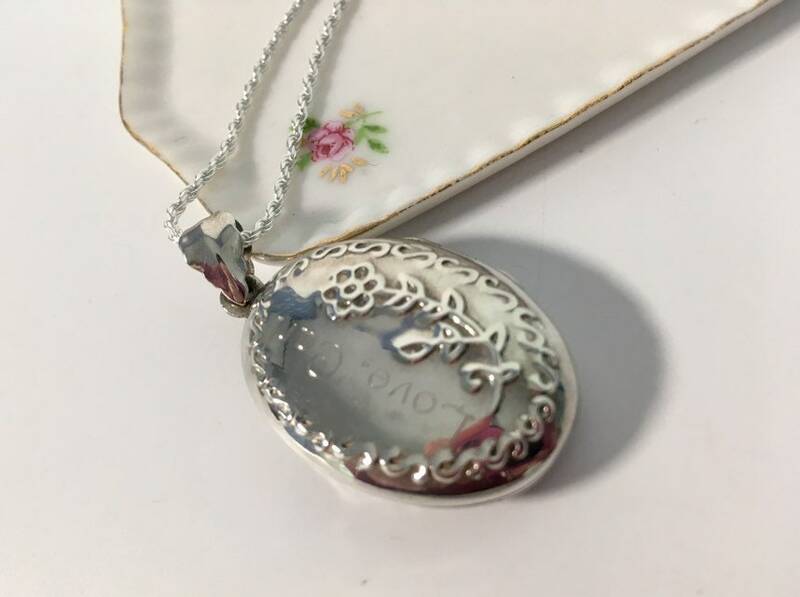 The back side also has this same design and is engraved "Love Carl" - see last photo. 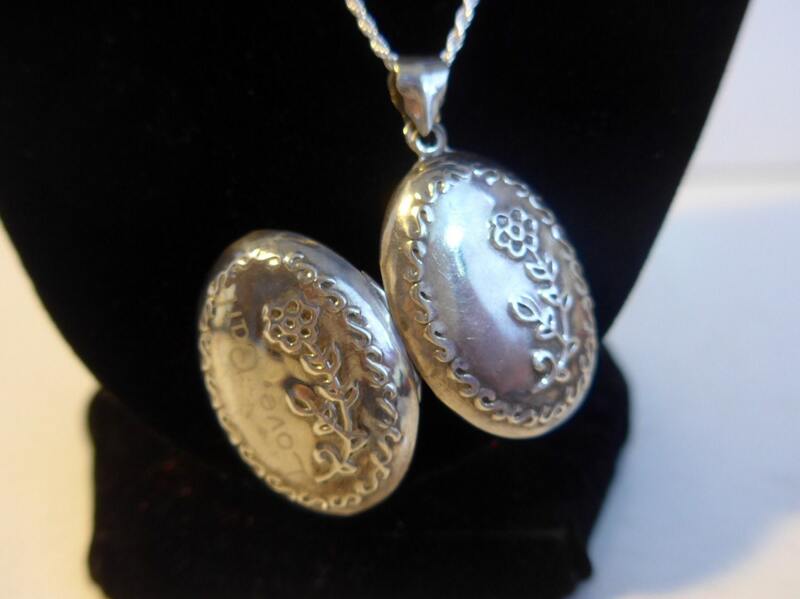 This is a larger sized locket that opens and closed quite securely. 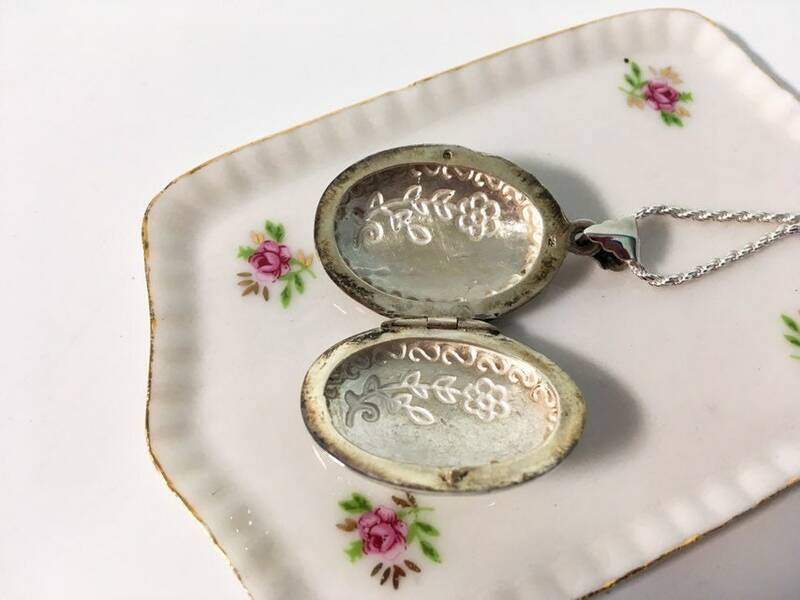 Inside of locket is stamped 925 at the top of one side. 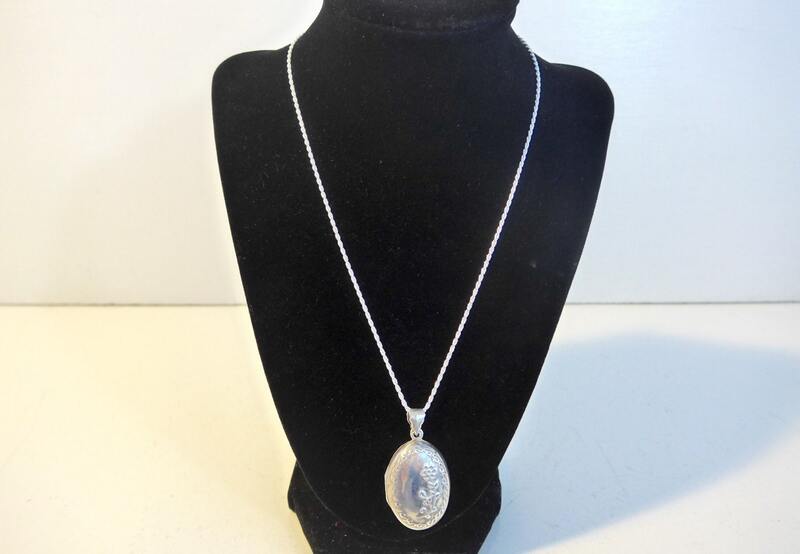 The bale is slightly scalloped. 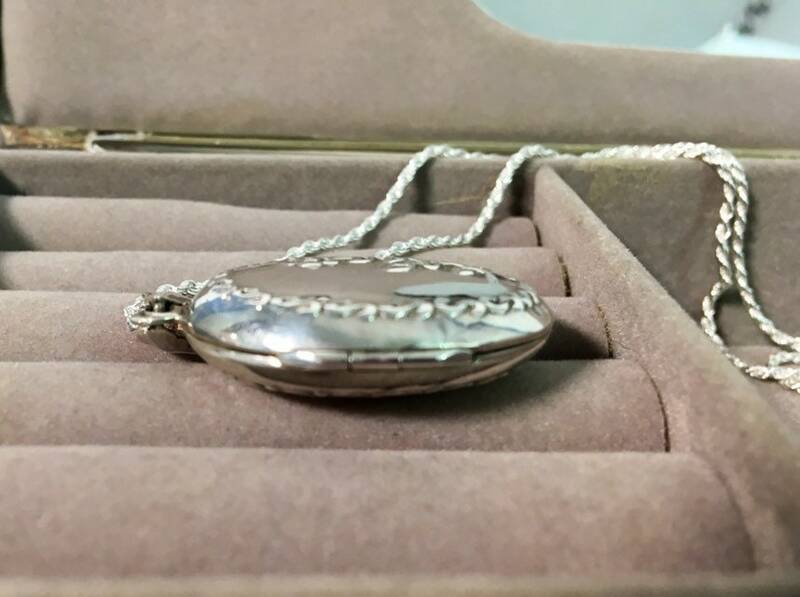 The newer sterling silver diamond cut chain is stamped 925 and ITALY on the clasp. 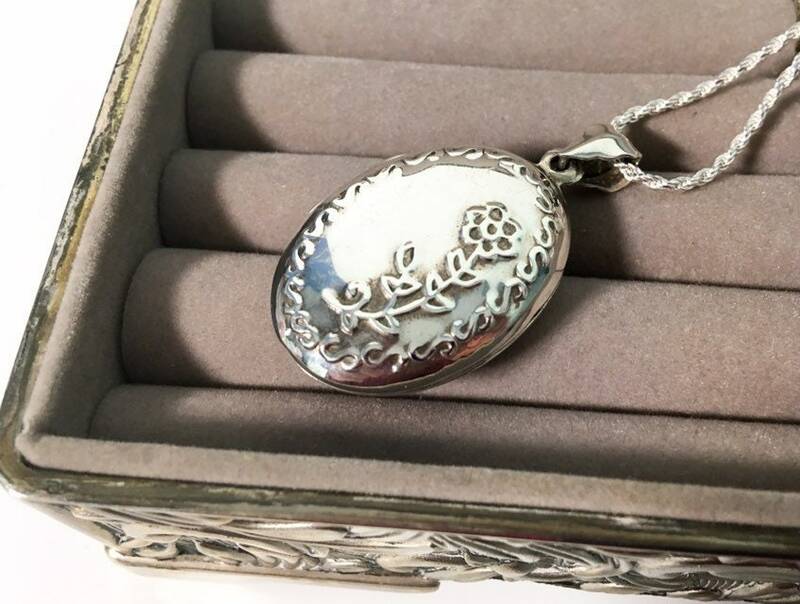 Clasp on chain opens and closes securely. 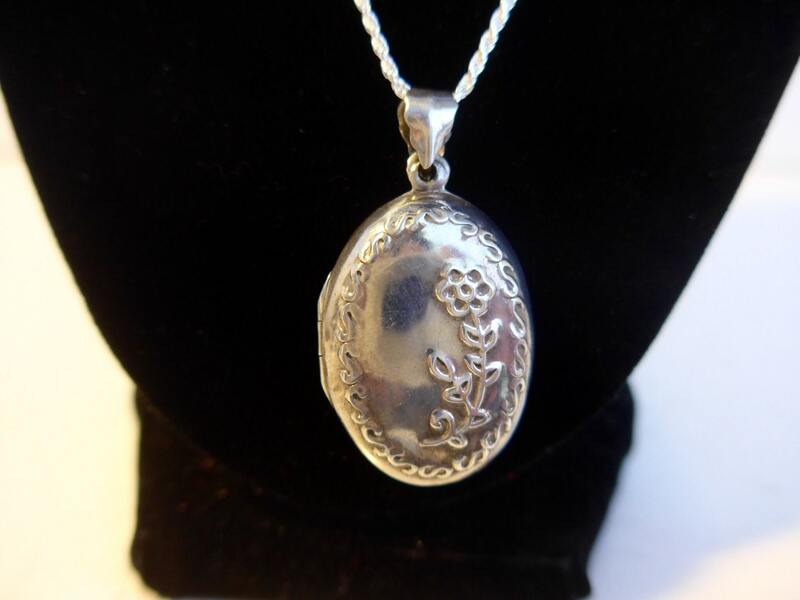 The locket is in nice vintage condition with wear commensurate with mid century age.